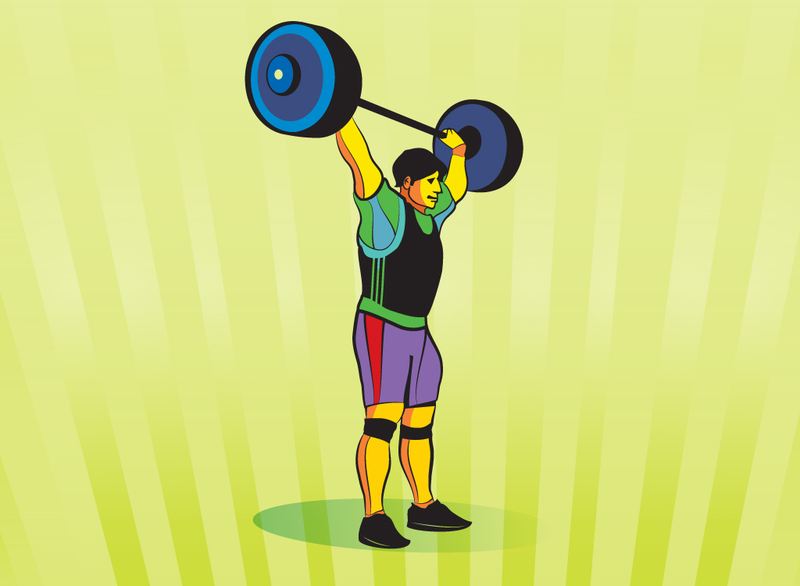 Vector clip art featuring a man lifting weights. Man doing a military press or clean and jerk power lifting exercise. Download this Olympic or competitive athletics image for your body building, weight lifting, fitness, exercise and sports designs. Zip comes with AI, PDF and JPEG files. Tags: Body Builder, Competition, Exercise, Fitness, Gym, Strong, Weight Lifter.